What’s better than enjoying an endless selection of fine wine near the ocean? When all the proceeds from that wine are donated to a deserving charity––and you can do just that February 20-24th at the eighth annual 30A Wine Festival in picturesque Alys Beach, Florida. 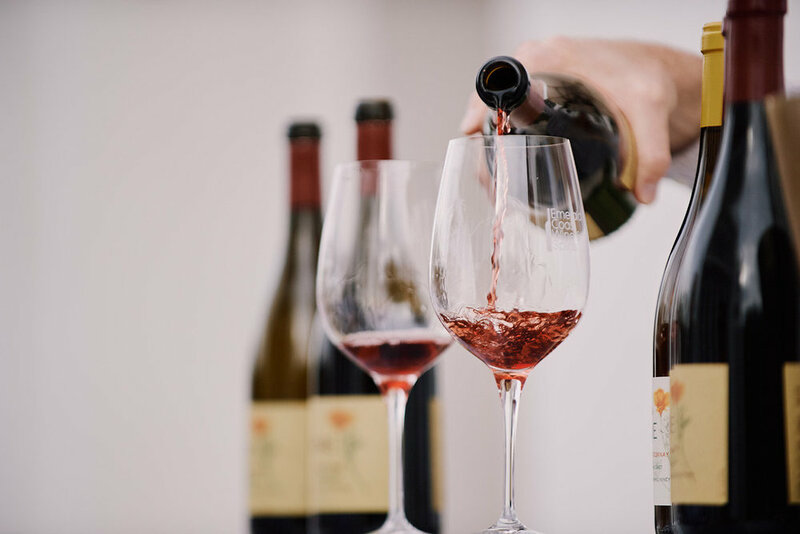 Recently voted one of the best wine festivals in the country by USA Today, the 30A Wine Festival will kick off with an exclusive wine dinner Wednesday night in the Red Loggia at Caliza. Chef Drew Dzejak will prepare a delicious four course meal that features wines by Ralph Hertelendy and Hertelendy Vineyards on this glamorous opening night. The days that follow will be filled with VIP parties, grand tastings and a variety of samplings that everyone can enjoy. If wine isn’t your thing, no worries. The festival also offers many other libations, so the drinks can keep flowing all week long. With more than 25 wineries and vintners, 15 spirits, five breweries and 10 chefs, restaurants and purveyors will be featured throughout the five day long celebration. David Bancroft, Good Grit’s Harvest 2018 guest editor, will even make an appearance during the festivities. Whether you are looking to have a night of bourbon, beer and barbecue with distilleries across the country, or you want to increase your wine knowledge with some of the country’s best vintners there truly is––there is something for everyone at this event that gives back. Don’t think that the 30A Wine Festival is just about eating and drinking. Things will get a little physical on the final day of the festival with a boozy croquet match on Sunday. This annual event has become one of the highlights of the week for the sixth year in a row. Here, a team of at least four will enjoy an elegant brunch prior to the match. No matter who comes out victorious in this fun game, it is all in good fun and benefits a great cause. While this event sounds like a great time for anyone over 21, it is worth mentioning the reason for the gathering. The proceeds from the festival will benefit Children’s Volunteer Health Network. This faith-based organization was established in 2005 in direct response to the county’s large population of low income families who do not have access to high quality health services. The overall mission at CVHN is to improve the health and well-being of children in need. With a network of nearly 100 local volunteers that include dentists, physicians and healthcare providers, CVHN is able to offer free services for children who are enrolled in schools in Walton and Okaloosa Counties and are enrolled in free or reduced lunch. For more than a decade, CVHN has facilitated nearly 100,000 free procedures for thousands of local children. The overall vision of CVHN is to ensure that all of God’s children grow up healthy and happy, with limitless possibilities in their future. Does this event sound like something that you want to be a part of? Weekend passes and day passes are available, so get your tickets and start packing!